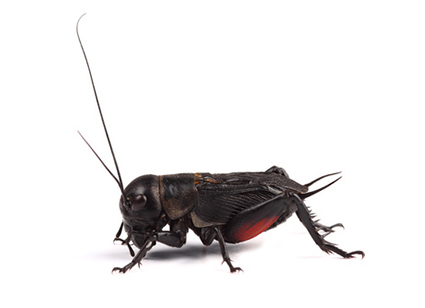 Crickets typically live in grassy green areas or under rocks in cool spaces. They are likely to come into your home to escape extreme dampness, dryness, heat, or cold. Commonly they enter the home through doorways, windows, or unsealed areas of foundation. Usually they are found in damp darker areas such as a basement or crawlspace or can be found by the chirping noises they make. Damage can include them feeding on clothing or other materials, and the constant nuisance of noise within your home.